On Saturday. 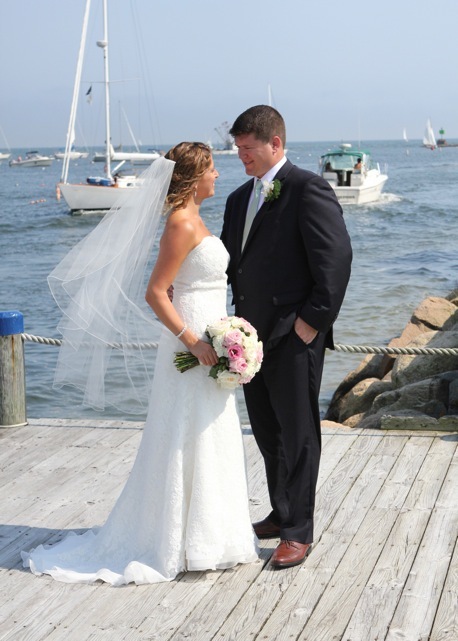 August 4, 2012, Julia Crespi and Michael McCarthy tied the knot in Harwichport, one of Cape Cod’s most charming seaside towns. The ceremony was held at a beautiful Catholic Church in town, followed by a cocktail reception, dinner and dancing at the absolutely exiquisite Wychmere Beach Club. Here are some of my favorite wedding highlights……A special thank you to Clemence Photography for the majority of wedding day photos I have included in my post today. 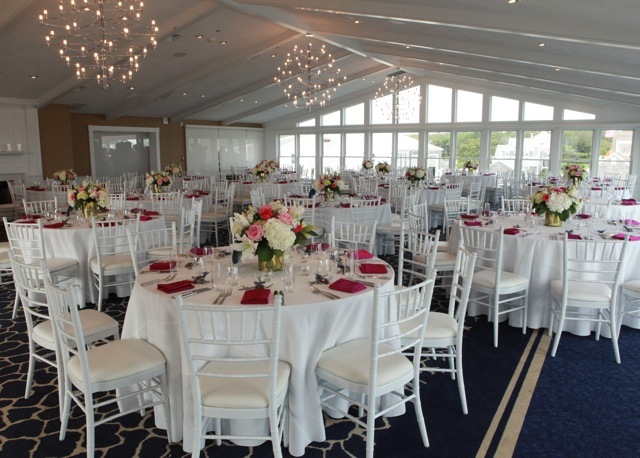 Words cannot express how picturesque this venue was for a wedding celebration, as the entire club overlooks the Atlantic Ocean. Cocktails were hosted on an outdoor deck, overlooking the town’s harbor home to more than 100 sail boats. Guests were then encouraged to take their seats in the Ocean Room. It lives up to its name…the ballroom provided stunning views of the ocean in every direction. 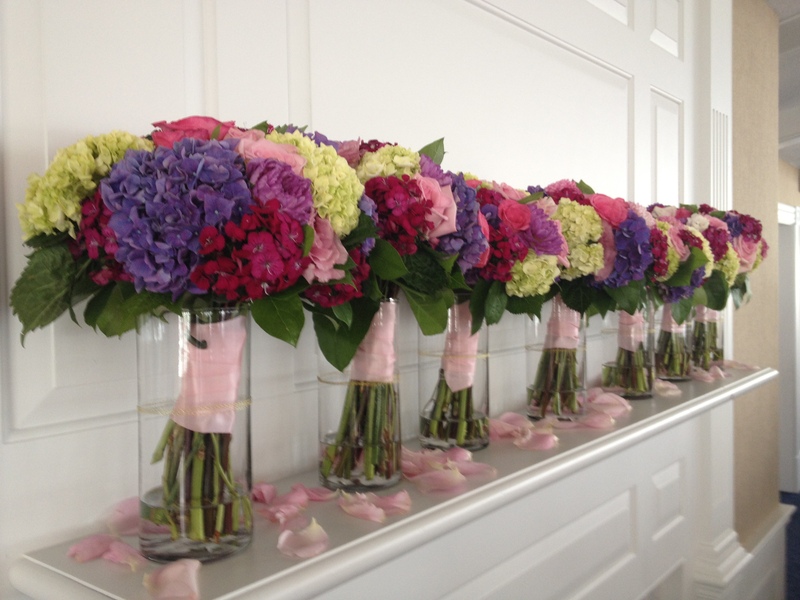 The flowers for the ceremony and the reception were simply…..breathtaking. The photos speak for themselves, but I couldn’t help but showcase a few photos taken of these impressive arrangements designed by their florist, Patrice Milley. 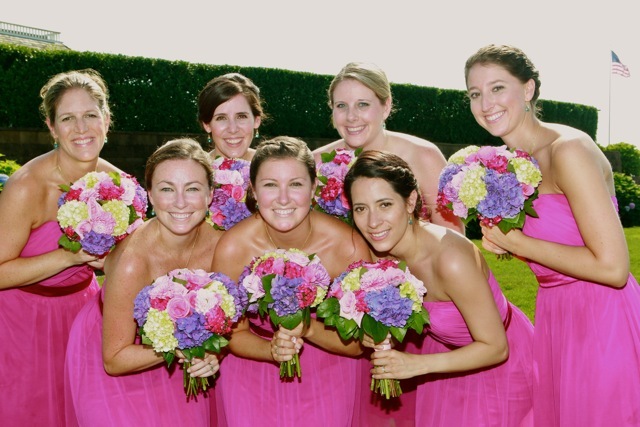 The bridal bouquet featured pink and white roses, while her bridesmaids carried bouquets filled with pink roses and dahlias, green, red and purple hydrangeas. The dinner tables were decorated with elegantly, weathered golden vases that held similar flowers, plus stunning white Lilly’s. The menu……was simply extrodinary, showcasing local and seasonal favorites. The impressive display of international cheeses, the antipasto, tequila grilled shrimp, crispy mac & cheese and proscuitto pear wraps were just the beginning. After the salad course, each guest was served filet mignon & butter poached local lobster (with a scallion potato cake, lemon roasted asparagus and tarragon cream) or organic, herb roasted chicken (with a lyonnaise potato, seasonal vegetables and lemon-thyme drizzle). 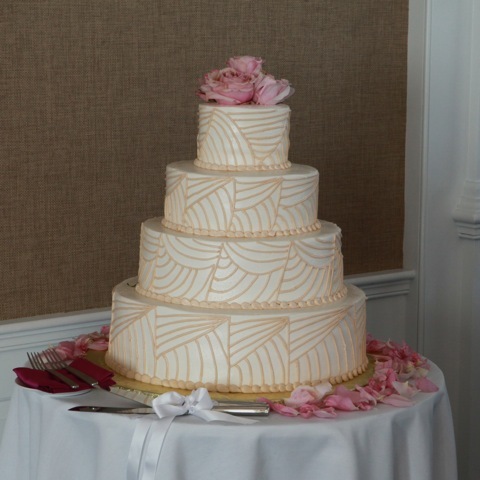 For the finale, a magnificant, four layered wedding cake, featuring three delicious and creative flavors…. Chocolate, Carrot or lemon orange. This cake masterpiece was created by Montilio’s bakery. Have I mentioned how much I love wedding cake? 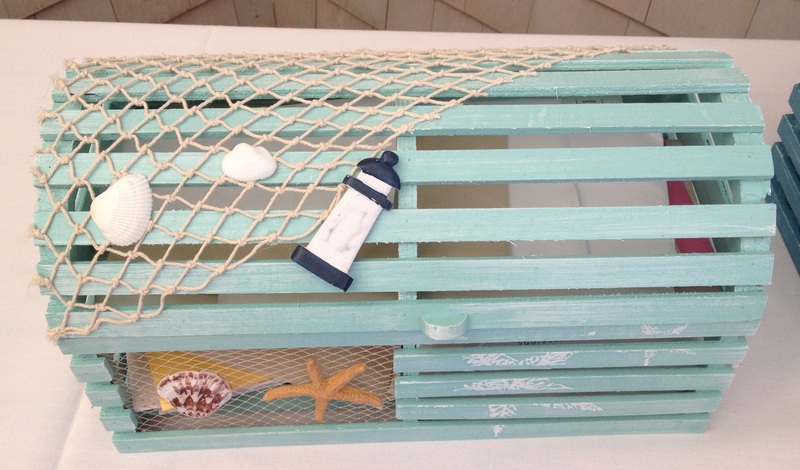 Gift cards were collected in these adorable, pastel colored lobster traps, while guests were invited to sign a framed “Knot” pictured below that featured the bride and groom’s names and the wedding date. 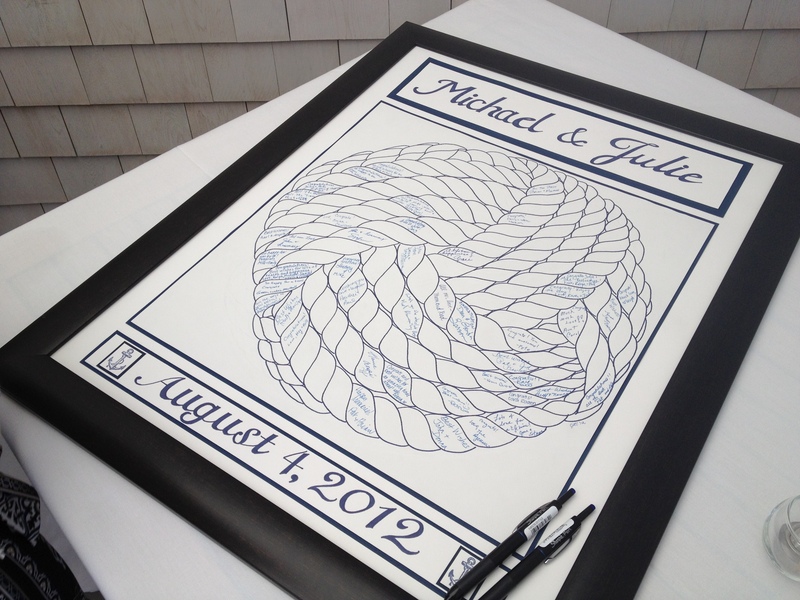 (A unique guest book alternative and a special keepsake for their home). 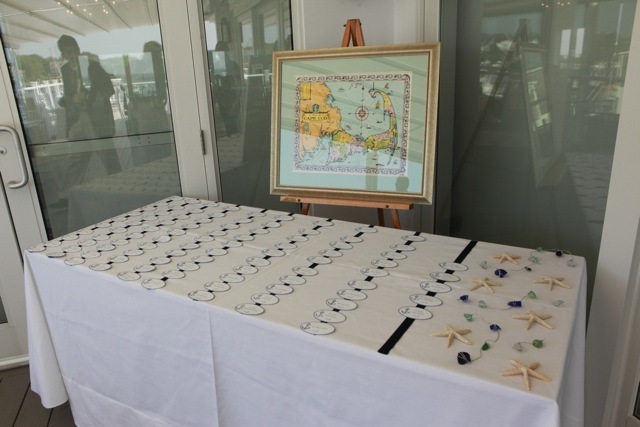 A classic, framed map of Cape Cod was displayed behind the anchor stamped place cards. 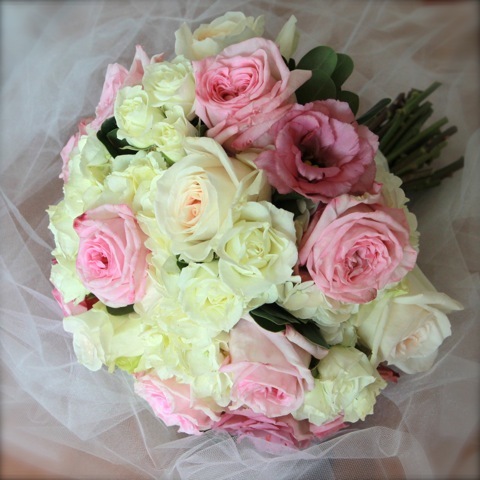 For those of you who LOVE wedding details like me…. 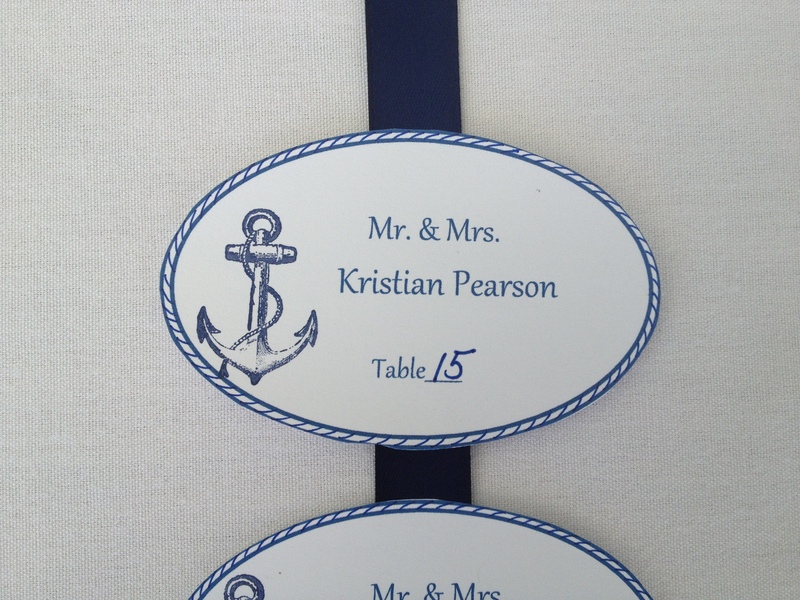 check out the nautical rope theme around the place cards, carried through additional elements of the reception (specifically the guest book, the cake and table numbers). Too cute! 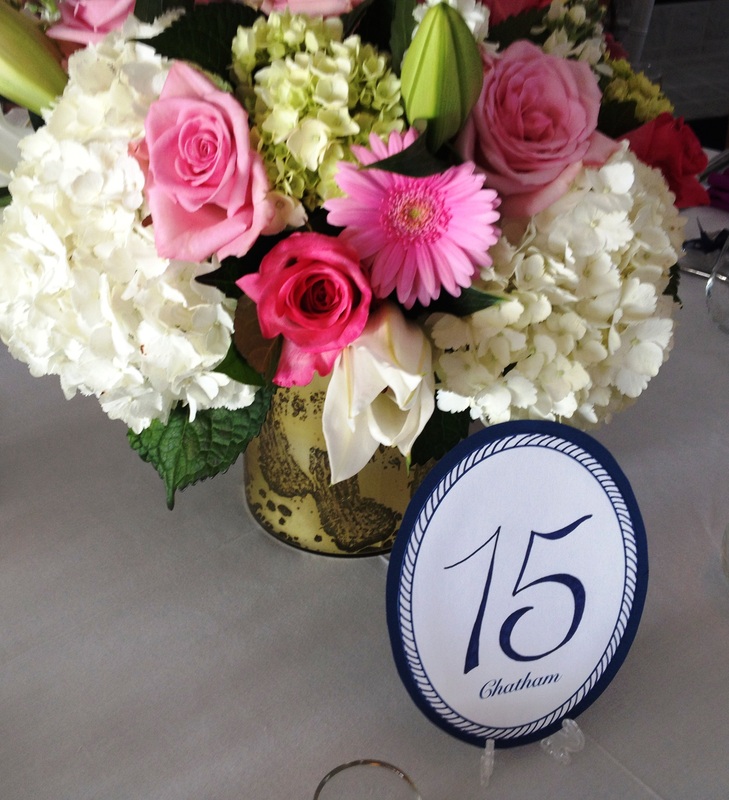 Tables were named after the couple’s favorite Cape Cod towns. 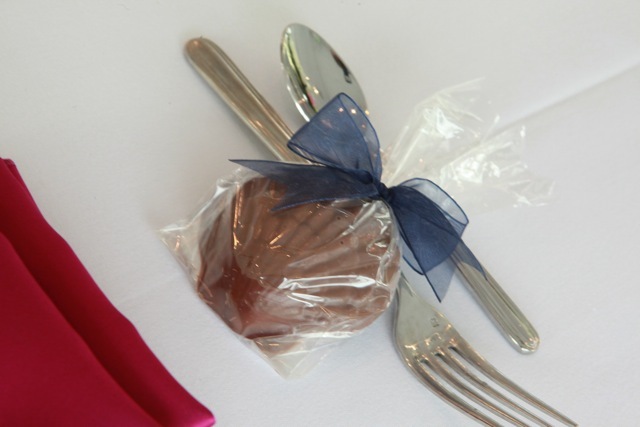 Kristian & I were seated at the Chatham table and were thrilled to find chocolate sea shell favors at our place settings. I may have had my chocolate before dinner was served! At the conclusion of the wedding, the party continued in the beach cottage that the bride and groom rented out for their bridal party. 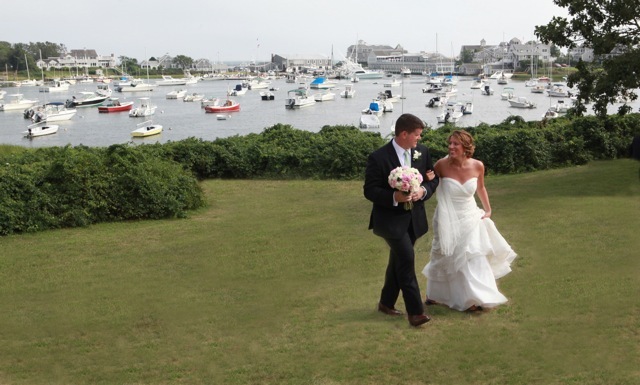 In addition to being big enough to hold more than 75(+) post reception guests it was located only a few steps away from the wedding reception location. Guests enjoyed cocktails, music and extra time with the Julia & Mike until the late hours of the evening. Thanks for making us apart of your incredible celebration! Wishing you both a lifetime of love and happiness. Posted in Jubilee, Something BlueTagged bouquets, bride, cape cod, carrot cake, Clemence Photography, Harwichport, nautical decor, nautical weddings, wedding cake, weddings, wychmere beach clubBookmark the permalink. I am wondering if you know who the photographer of the Wychmere Beach Club picture lit up at night is. I contacted Clements Photography, and sadly, it wasn’t her. Any help or guidence would be extremely appreciated! Thank you for reaching out. I spoke to the bride to confirm her vendor and it turns out she actually drew the “knot” herself. I am so sorry I couldn’t be of more help. 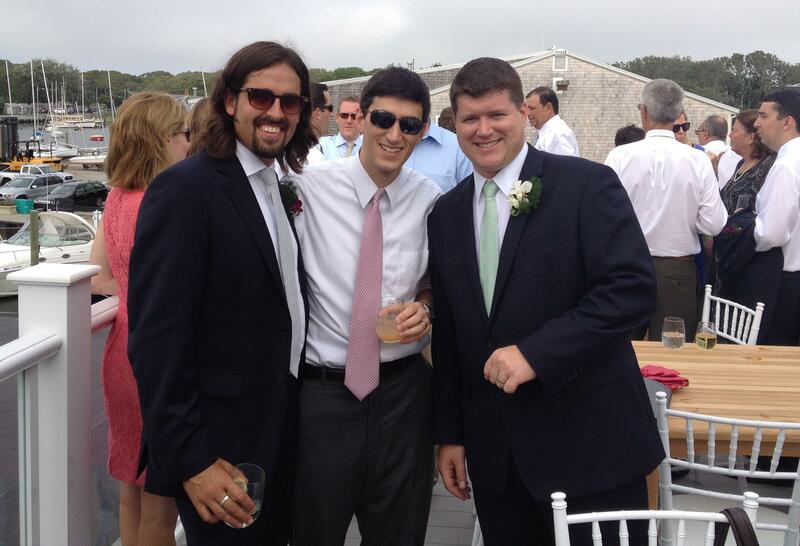 Congratulations and best wishes on amazing wedding on the Cape!